People have started to realize that the food that we eat make us or break us. There have been endless debates on what is the right type and right amount of food for a human body. That is why the organic food industry is on a boom for the people who could afford. But have you ever thought what is more important than food in our life without which we couldn’t even survive for a couple of seconds? Air is the most evident thing that any land flora and fauna require surviving and sustaining. We inhale air and exhale air every second of our life. We always talk about food endlessly but never think twice about Air. Are you sure that the air that we breathe is keeping us healthy? Ever wondered why do you feel so fresh and alive in a garden full of trees? It is mainly because of the outdoor air quality. For your overall health, the quality of air is essential. Air pollution is not a new thing to the urban population. Delhi being the most affected place in recent times. Hasn’t yet inhaling that smog-filled white thick air freaked the hell out of your lungs? You do have a little control over the food that you eat but what about air? You cannot simply buy the packets of fresh air from the nearest local store, can you? It can be anyone’s mistake and still you have to suffer, isn’t it? Harmful diseases caused by air pollution or inhaling bad quality air (full of chemicals and other hazardous substances) are numerous. It would be both acute and chronic. From mild headaches, coughing, asthma to deadly diseases which includes heart disease, lung cancer, acute respiratory infections, and chronic bronchitis. - According to the World Health Organisation (WHO) global air pollution database released in Geneva, India has 14 out of the 15 most polluted cities in the world. - Rising air pollution in a metropolitan city like Delhi and smaller cities such as Ranchi are leading to rising incidences of chronic obstructive pulmonary disease (COPD), cancer, diabetes, and other pollution-related ailments, the study found. - As many as 27 percent of deaths in India were caused due to pollution, making it the country with the highest number of pollution-related deaths, followed by China, according to the Lancet study. With globalization and technology at its peak, the amount of environmental damage that has been happening is quite evident and the quality of air has been depleted drastically over the last 15 years. Now we have very less control over the air we breathe, most of the time, the solution lies in the political policies, laws and people’s awareness, what if we also have a solution in our hands? What if we could eliminate the hazardous elements from the air that makes us sick and improve the quality of the air around us. This is something everyone should think of right now. Technology has been so advanced as never before. Now we have a control over the air around us that we breathe. 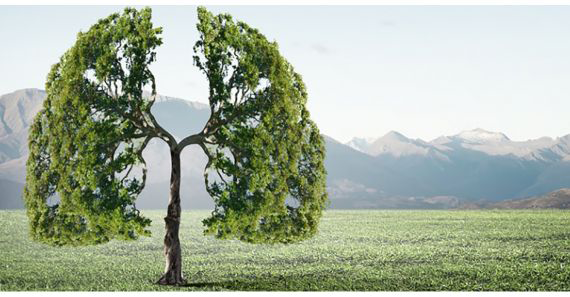 With the help of an AIR PURIFIER, we can improve the quality of the air around us, eliminate the hazardous substances from the air, and ultimately improves the quality of our life. Do you really agree that your life is precious? So, don’t you think it deserves nothing but the best? - Do you have allergies, asthma, sinus - the solution might lie in the air that you breathe. - Are you a type of person who gets sick whenever the weather changes? - Do you believe you immunity is quite weak and you are always likely to catch infections? If the above statements are true for you, then you should buy the AIR PURIFIER and see the difference yourself. Nowadays, Air always comes up with many chemicals, smog, germs, viruses and it would not only affects while you breath, it also impacts the food that you cook, the toys that your child plays with, the things that you use or touch. Now you can’t sanitize everything around you before using it. So, next time you have a stomach upset, don’t just blame the food.